WHAT IS THE CINEMA AUDIO SOCIETY? The Cinema Audio Society was formed in 1964 for the purpose of sharing information with Sound Professionals in the Motion Picture and Television Industry. We have seven (7) categories of membership: Active (Full), Associate, Career Achievement, Honorary, Student, Retired and Corporate Members. Active Members are Mixers (Production and Post Production, Film and Video) who work on Feature Films, Television, and Commercials, as well as Mixers who specialize in Music Scoring, Video Post Sweetening, A.D.R. and Foley. Associate Members are Sound Specialists, such as Sound Editors, Technicians, Recordists, and Microphone Boom Operators. Corporate Membership is open to companies in the Audio and Video Fields. The CAS holds educational meetings throughout the year on topics of interest to those in our industry. Our meetings in the past have included Dialogue: from the Microphone to the Screen, and Wireless Microphone Symposiums, The Dialogue Pre-Dub Forum, a demonstration of Digital Post Production and Digital Sound Effects Editing, and a symposium on Digital Multi-Track Formats – Their Uses and Abuses. CAS members and their guests are welcome and encouraged to attend. 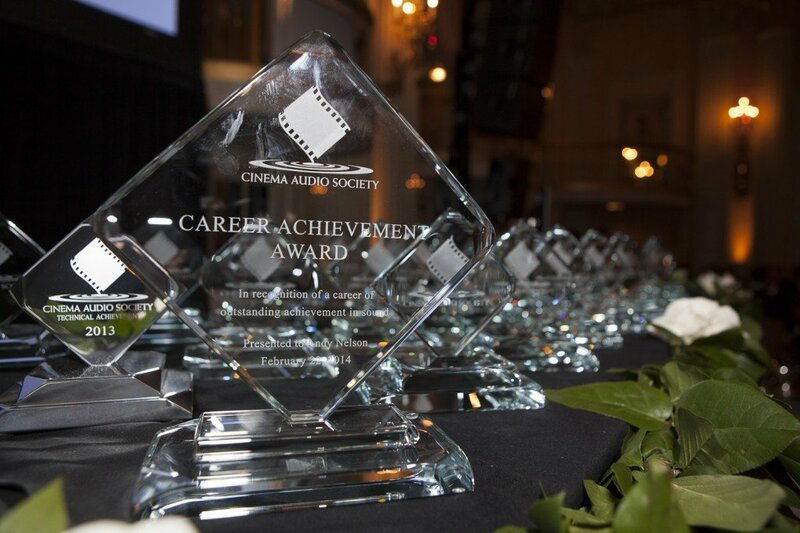 In addition, each year the CAS hosts its Awards to bestow the CAS Awards for Outstanding Achievement in Sound Mixing for both Feature Films and Television, as well as to honor Academy Award Nominees and Emmy Award Winners for Best Sound. This is also the occasion on which the CAS presents its Career Achievement Award. Past honorees include Ray Dolby, Robert Altman, Jack Solomon, John Bonner, Bill Varney, Don Rogers, Walter Murch, Jim Webb, Richard Portman and Tomlinson Holman. The CAS is a philanthropic, non-profit organization. We currently contribute to the House Ear Institute. We also publish the CAS Quarterly, and The CAS Membership and Industry Directory. The Cinema Audio Society’s goal is to be THE organization for Sound Professionals in the Motion Picture and Television Industry. We need your support and involvement to make it happen!